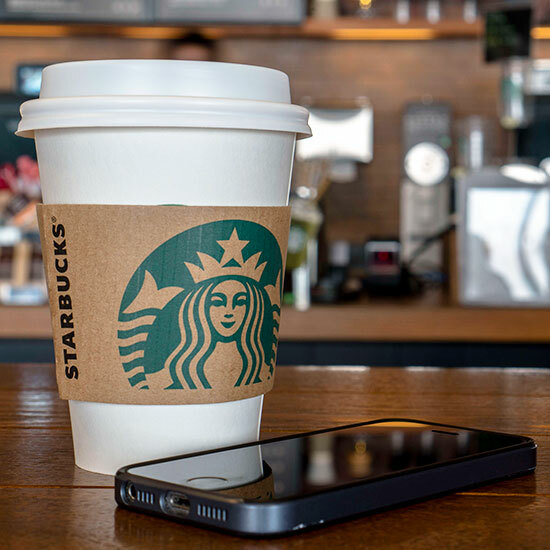 Over the past year, Starbucks’ mobile ordering has seen impressive growth, with seven percent of customers now using the feature, more than double the amount last year. Using the Starbucks app easily allows customers to get their caffeine fix at the touch of a button. But for those customers who are sick of having to touch buttons, even better news: Starbucks has announced voice ordering. It’s just like ordering in person, but instead of dealing with a person, you deal with a computer! Awesome! Voice ordering is launching in two different forms: on the Starbucks mobile app and through the Amazon Alexa platform. The former is probably the cooler of the two, being that customers can literally say their full order aloud, and the app uses what Starbucks describes as “groundbreaking Artificial Intelligence” to understand exactly what you’re saying (Maybe they should consider implementing this AI in-store to help baristas get your name right). To order via Alexa, the voice option is far more restricted. Saying, “Alexa, order my Starbucks” will reorder whatever your “usual” preset order is – and that’s it. Consider it the perfect feature for the unadventurous. The good news for Alexa users is that this “Starbucks Reorder Skill” is available to everyone now. Meanwhile, voice ordering in the app will initially be restricted to an iOS-only beta test of 1,000 customers (aka, soon to be the coolest girls in the middle school). The coffee chain says a larger rollout should begin this summer with an Android version not far behind. Needless to say, it’s been a long, busy few days for Starbucks. And I’m not just talking about the all the people waiting for their mobile orders.